Is Kevin Spacey Gay Or Married, Who Is The Wife, Net Worth, Where Is He Now? Kevin Spacey is one of the most talented and versatile actors who has effortlessly portrayed prolific onscreen roles in the film industry. From playing deceptively intelligent roles to sadistic characters across various film genres, the actor, producer, director, and screenwriter’s outstanding skills have established him as an entertainment icon. Here are more interesting facts about the multiple award-winning thespian who loves to maintain an incredibly low profile and how he recently became the subject of sexual assault allegations. Kevin Spacey Fowler was born on July 26, 1959, in South Orange, New Jersey, as the youngest of three children to parents Kathleen Spacey and Thomas Geoffrey Fowler. He was raised in an average family as his mother was a secretary and his father, a technical writer and data consultant. The nature of his father’s job often made the family move around but they eventually settled in California when Spacey was four years old. As a youngster, Spacey was quite troublesome and rebellious. He first attended Northridge Military Academy but was expelled. He then transferred to Chatsworth High School where he was first introduced to theatre and then he channeled his troublesome energy into acting. While at Chatsworth, Spacey featured in many of the school’s stage productions and in 1977, he graduated a valedictorian. In order to further hone his acting skills, Spacey enrolled at the renowned New York City’s Julliard School, but after two years, he left to join the New York Shakespeare Festival. Prior to his professional acting career, Spacey first worked as an amateur stand up comedian, performing in local talent circuits. Kevin Spacey made his acting debut onstage before proceeding onscreen. Through hard work, Kevin has put up creative and award-winning performances in hit projects such as The Usual Suspects (1995), American Beauty (1999) and the Netflix political series House of Cards (2013), among others. He is a recipient of numerous awards including two Oscars and a Golden Globe among others. Spacey has also been honored with a star on the Hollywood Walk of Fame. Is Kevin Spacey Gay or Married, Who Is The Wife? Kevin Spacey is known to be notoriously private about his personal affairs. On several occasions, the actor has explained why he loves to maintain silence about his personal life. According to Spacey, he believes that it is easier to convince his audience that he is the same character onscreen if less is known about him in real life. Despite being a very attractive and successful man, Spacey has never has been married. However, the actor has been in various relationships with women. He was most notably, romantically linked to April Winchell from 1976 to 1977 and Dianne Dreyer from 1992 to 2000. His relationship with Dianne who is a scriptwriter has so far been the longest in his dating history. In 2000, Dianne was Kevin’s partner to the Academy Awards ceremony where he publicly acknowledged and appreciated her in his award acceptance speech. Kevin has also been romantically linked with Jennifer Jason Leigh and Ashleigh Banfield, though those speculations remain unconfirmed. See Also: Chuck Norris Bio, Net Worth, Wife, Age, Height, Where Is He Now, Is He Dead? His secretive lifestyle has further raised eyebrows about his sexual orientation especially after pictures of him fondling a young guy in Los Angeles were published by a media house. But despite several criticisms, Spacey believes that his sexuality should not matter nor be a cause for public concern. Nonetheless, numerous allegations of sexual assault have been made against the actor. In October 2017, actor Anthony Rapp accused Kevin Spacey of sexual assault in an alleged encounter in 1986, wherein Spacey made sexual advances toward him as a 14-year-old at a party. Though Spacey initially denied recalling the incident, he later apologized to Rapp for his inappropriate drunken behavior. Shortly after Rapp’s allegations, a House of Cards production staff also accused Spacey of sexual harassment and assault. 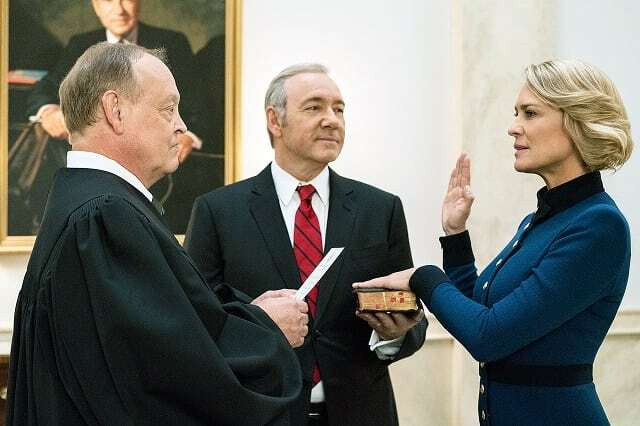 Consequently, Netflix announced that it had fired Spacey from his starring role in the political thriller House of Cards, adding that the company would no longer work with the actor in any capacity. Since then, more accusers have come forward with fresh allegations of misconduct against the actor in London between 1996 and 2013. Over the years, Spacey has always avoided questions about his sexuality but following the sexual misconduct allegations leveled against him, Kevin publicly affirmed his sexuality in 2017, disclosing that he is gay and has been romantically involved with both men and women. Having been in the spotlight as one of Hollywood’s iconic talents for about three decades, Spacey has amassed an impressive fortune for himself. He has made an honest living and a net worth estimated at $100 million, an amount earned mostly from his acting career, both on the small and big and screen, and also as an artistic director. However, Spacey’s career and wealth may be affected following his contract cancellation with Netflix. Kevin’s paycheck may suffer a blow as he was earning a seven-figure paycheck for his star role as Francis Underwood in the series House Of Cards. The loss of his role on the show and other projects could cost Spacey a substantial amount of money in future earnings. Nonetheless, he still remains a wealthy man, at least for now. Since Kevin Spacey was dropped as the wicked politician Francis Underwood in the Netflix political series House of Cards, he has lost an international honor and his reputation may be suffering as he may no longer be one of the most appealing candidates for future jobs. Following the recent allegations of sexual misconduct, the actor reportedly sought out unspecified evaluation and treatment and is presumably living his life in private as always.